In 2018, the MTBE supply kept rising. Meanwhile, with the rapid development of alkylated oil, reformed gasoline and other high-octane value gasoline components, the competition in the gasoline component market became more intense. As for the demand, although the consumption volume of gasoline went up, the growth of the demand for MTBE would slow down influenced by the development of new energy and other high-octane components. Moreover, the supply of MTBE feedstock remained tight, and the profits at MTBE producers underperformed. In terms of the related policies, as consumption tax policies became further severer, the profits at blenders gradually tightened. Thus, the demand for MTBE from state-owned and independent refineries increased. Besides, influenced by the ethanol gasoline promotion, China’s MTBE producers were worried about the market development. In 2019, with the large-scale oil refining projects going into operation in succession, China’s MTBE capacity will continue to grow. Furthermore, large-scale MTBE producers have absolute advantages in feedstock import, sales channel and capital, further weighing on the small and medium-scale MTBE producers. Besides, the ethanol gasoline promotion will obviously weigh down the rigid demand for MTBE. How to take advantage in the industry reshuffle process? Will the impacts from the elimination of backward capacity and oil product upgrade promote the turnaround in China’s MTBE market and take the initiative among the fierce market competition? 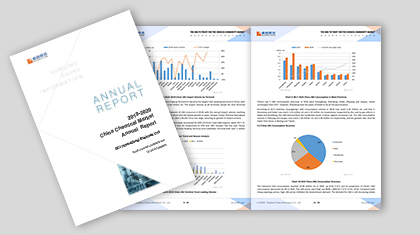 2018-2019 China MTBE Market Annual Report will give market participants a comprehensive interpretation about China’s MTBE market. 1 To analyze the supply-demand fundamentals of China’s MTBE market from all aspects. 2 To present the MTBE import and export data in recent years. 3 To present the MTBE price trends from 2014 to 2018 and further forecast.